As Congress gets back to work on the Farm Bill, it’s vital they support the Food for Peace and McGovern-Dole programs. Both initiatives fund school meals around the world in partnership with charities like Catholic Relief Services. A report from the Famine Early Warning System shows that “north of Kayes and in some parts of the Mopti, Koulikoro, Ségou, and Timbuktu regions, rain shortages have affected crop development, which will likely reduce yields at these locations.” Hunger is a growing problem in Mali and aid is desperately needed. CRS provides school meals in the Mopti and Koulikoro regions to help families cope with the crushing strain of poverty. The meals are funded by the U.S. Dept. of Agriculture’s McGovern-Dole program, named after former U.S. senators George McGovern and Bob Dole. Students and parents were very pleased with the taste and content of the local school meals, and the School Management Committees’ capacity and sense of ownership increased significantly. 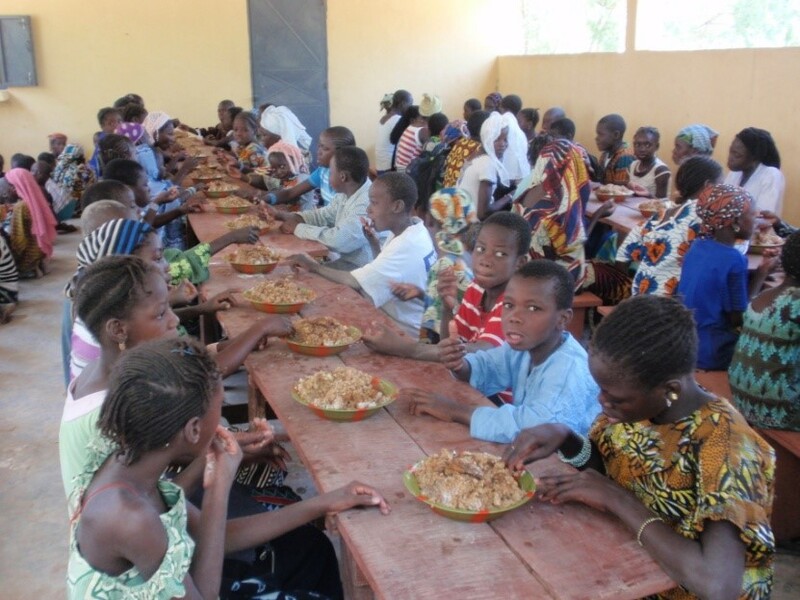 In Burkina Faso CRS is also providing school meals using McGovern-Dole funding. Anne Sellers of CRS says McGovern-Dole is “a huge help,” as Burkina Faso tries to develop a national school feeding program. They need help along this road. The future of these school feeding projects will rely on funding that will be determined, in large extent, in the next Farm Bill. It’s important citizens let their representatives in Congress know about funding the Food for Peace and McGovern-Dole programs.